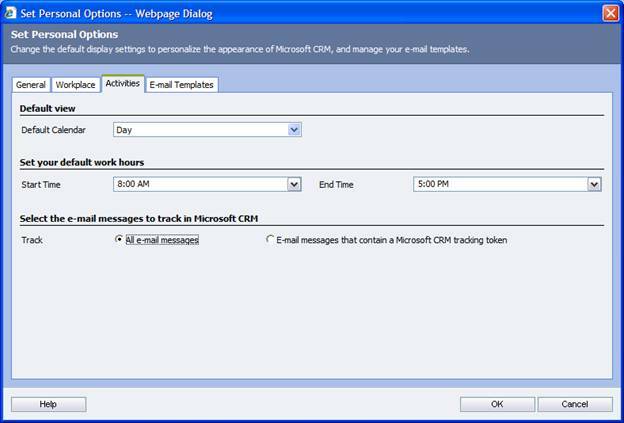 You can use the Microsoft Dynamics CRM Outlook client to track emails one at a time using the “Track” button. You can also use the CRM Exchange router to automatically track received emails without any user interaction. But what if you have several hundreds of old emails you would like to track in CRM? If you use the Outlook client, clicking on each email may prove time consuming. If you use the CRM Exchange router, only emails received after you deploy it will be processed. 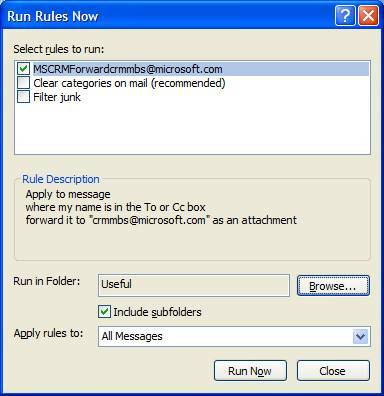 Our solution consists in manually applying the rule to emails in certain folders. 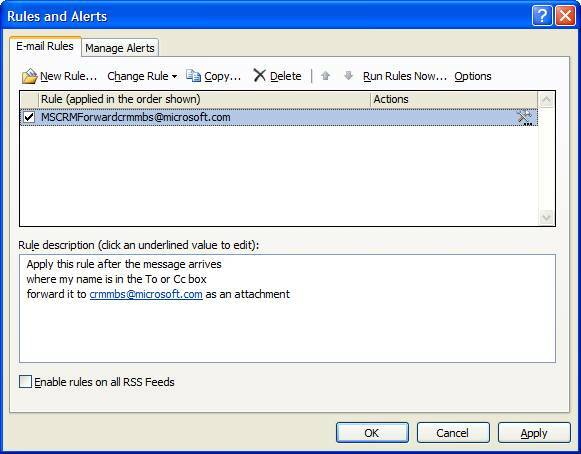 Emails in selected folders will be processed by the rule, and forwarded to the mailbox monitored by the CRM Exchange router. The CRM Exchange router will process those forwarded emails, and create email activities in CRM (depending on user settings). Simply select the “Run Rules Now” button to manually apply the rule. In the example below, all emails under the “useful” folder will be processed by the CRM Exchange router. 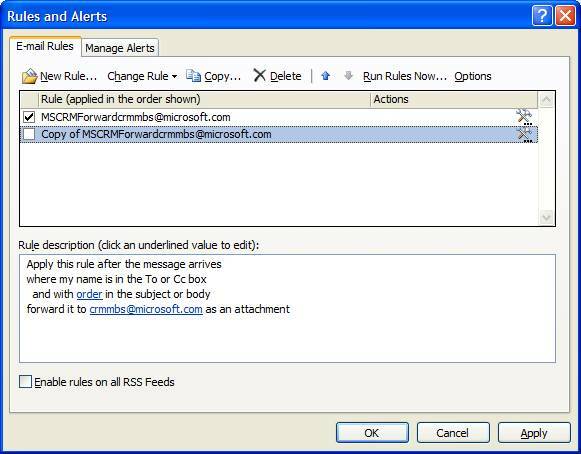 If tracking all emails at the folder level does not quite meet your requirements, you can make a copy of the rule and modify its filtering criteria before manually applying it. For example, here we have duplicated the rule to only process emails with “order” in the subject or body. Now you can track your entire email history regarding orders in Microsoft Dynamics CRM.